New York City Family: Skincare, Haircare, Babycare...French Pharmacies Do It So Right! 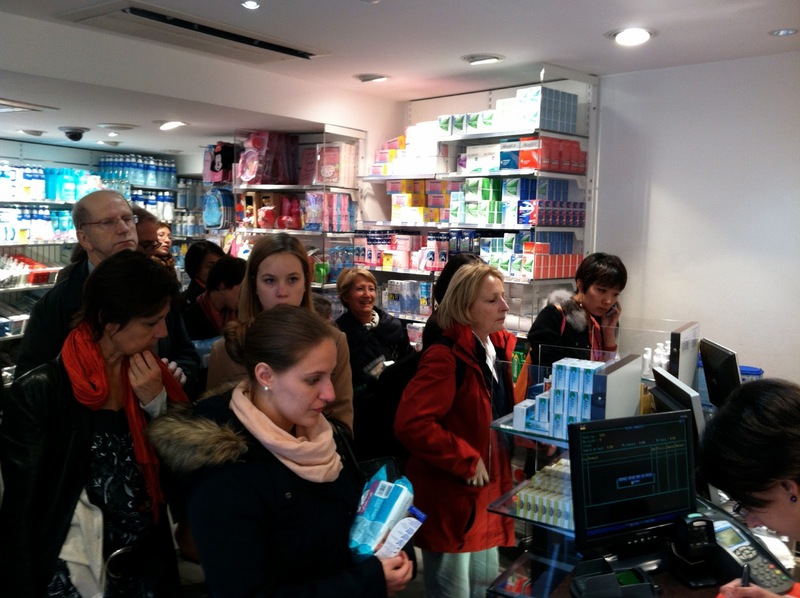 Skincare, Haircare, Babycare...French Pharmacies Do It So Right! When I went to Paris in 2004, I emailed Ladurée asking if they could open a store in New York. They responded, saying they had no plans to open here. Well, guess what. It's 2013 and there's a Ladurée in New York now. I'm not saying it's because of me, but I did make a request. After having gone to Paris's CityPharma for the first time last month, I think I should email them, too! 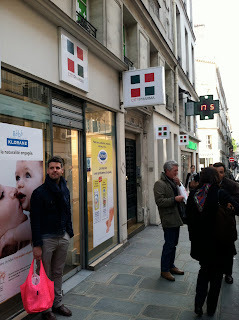 I discovered CityPharma, the discounted pharmacy, online before my recent trip to Paris. I knew of some things I wanted to buy from French pharmacies, which are famous for having amazing skincare and haircare products and remedies, but I wanted to see what other people had on their must-buy lists. During my search, I learned that CityPharma had all the goodies as most other pharmacies, but at a 20%+ discount compared to other pharmacies in Paris, which meant 50%+ discount off American prices for the same products. I collected a list of French pharmacy products that included Gwyneth Paltrow's list of French pharmacy finds, makeup artist Lisa Eldridge's list, and many others. I had used and loved many of the items they mentioned before (such as Anthelios sunscreen, Bioderma's Crealine makeup remover and Embryolisse cream), but there were other items I wouldn't have been tempted to try at American prices, but very willing to try at CityPharma prices. For instance, I love a great lip balm, but I don't want to pay $20 for it. That's about what Nuxe's Rêve de Miel costs in the U.S. Meanwhile, it costs 6.90 euros ($9.10 USD) at City Pharma. During my trip, I noticed that the same lip balm costed around 11 euros at other pharmacies in Paris. The deals at CityPharma were great. And I feel like there are so many other blog posts about the best things to buy at French pharmacies, that I don't need to add my list (although some of my loot is pictured). But, here's my big tip, which I didn't see online anywhere! If you go to CityPharma after reading this post, you will thank me so hard for this tip: The line to pay for your stuff is the side entrance to the store, which is on rue Bonaparte. I never would have found this part of the store if I hadn't asked where the baby stuff was. This section of the downstairs isn't connected to the main downstairs section of the store, where there are easily 50 people waiting on line, while there may be no one on line in this section. The store gets insane. I'm not exaggerating. It gets like the worst sample sale-people-will-cut-you-insane in there. My mother-in-law and I went to CityPharma three times (twice to shop and once to make a return) and it was always jam packed. I imagine that the only time it isn't crazy is right when it opens at 8:30 am or whatever on a weekday morning. Below is a picture of the side entrance of CityPharma. 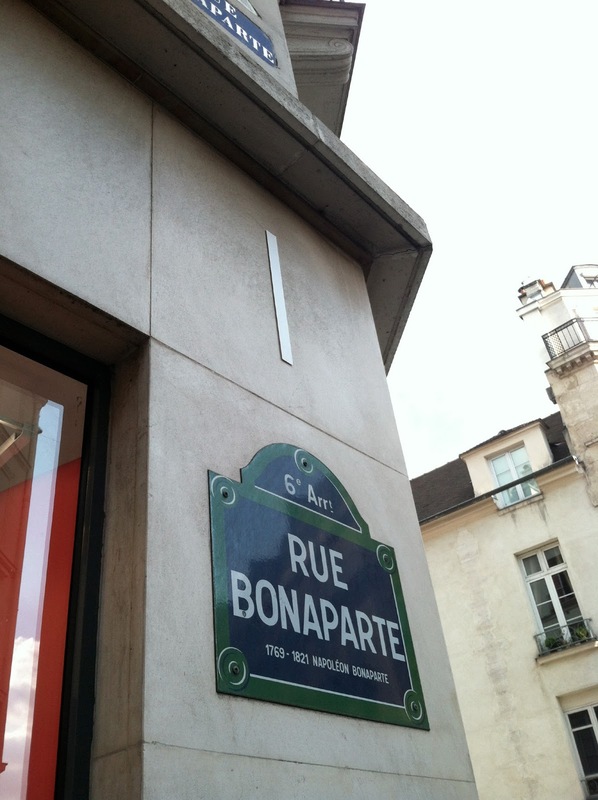 You'll know you're at CityPharma when you see 20 husbands waiting outside on the sidewalk, but you have to look for the side entrance on Rue Bonaparte. This is where you want to go to pay in order to avoid standing on line for 20+ minutes and be in a much calmer atmosphere, which is priceless. You're welcome. Where did you get that red Eiffel tower? I like it!